When you think of great Square Enix RPG franchises, you’re naturally going to gravitate to Final Fantasy or Dragon Quest. You might remember Kingdom Hearts, and, because it’s so recent, Bravely Default. 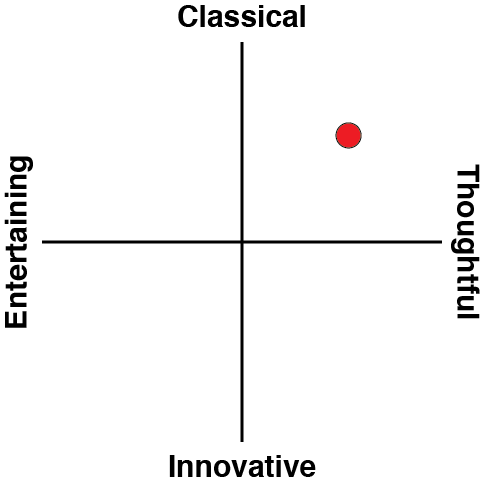 If you’re the smart type you might even be one of the few to play (and understand) Nier/ Drakengard. 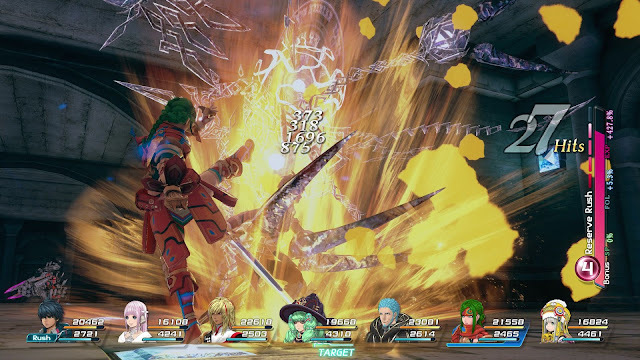 Related reading: Our interview with the producer of Star Ocean. But you’re probably not going to think of Star Ocean, and that’s a pity. Star Ocean has always deserved a greater prominence than it has had, because it has been around for many years now (the first was a SNES title), and the third on the PlayStation 2, in particular, is a title that I would argue is a genuine classic. The latest in this unfortunately niche franchise, Integrity and Faithlessness, is the first attempt by Square Enix to bring the series into the new generation of consoles, and I do want to get something out of the way from the outset, so I can then talk about what is actually important to the game; the camera in Star Ocean is the worst that I have experienced since the PlayStation 2, and there is no exaggeration there. It’s positioned behind the characters, and though you can pull it back quite far, to try and compensate for its twitchiness, no configuration is ever actually comfortable. When moving around the world, the camera is overly sensitive, and watching the world bounce around while trying to move around is not pleasant on the eyes in the slightest. In towns, townsfolk will say things to you, which are not voiced and delivered via text speech bubbles, but you’ll miss them, because the camera will do a little spasm and make reading the text impossible for just long enough that, by the time it’s settled down, the comment has disappeared. Through most of the game that’s flavour text, but the point of flavour text is the flavour it brings to a experience. I want to read it because it’s there to build the world for me. In battle, things are even worse. That same camera has a love of getting stuck behind objects, or alternatively sinking to the ground so perspective becomes difficult - you can never quite get a good view of the action. The camera also pulls back significantly by default, and it’s very easy to lose the character that you’re in control of as the pyrotechnics light up. Ultimately you can persevere with the camera and get through the game, but it’s bad enough that it’s detrimental to the overall experience. With most games I wouldn’t actually care, but here the game itself is so gorgeous that the developers should have done everything in their power to ensure that a janky camera didn’t detract from that. 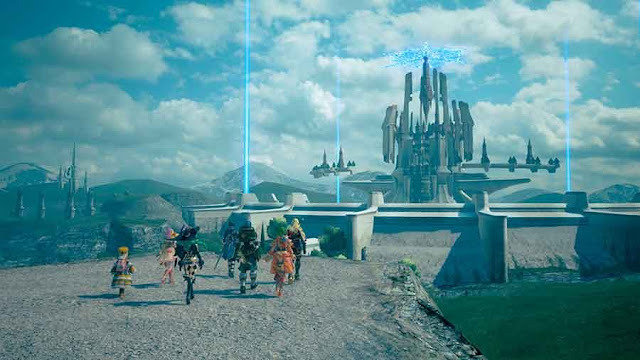 The world of Star Ocean is huge and lush, with lovely character design, stunning and detailed architecture, wonderful monsters, and a beautiful day/night cycle that was convincing enough that I half felt the refreshing evening breeze come on. 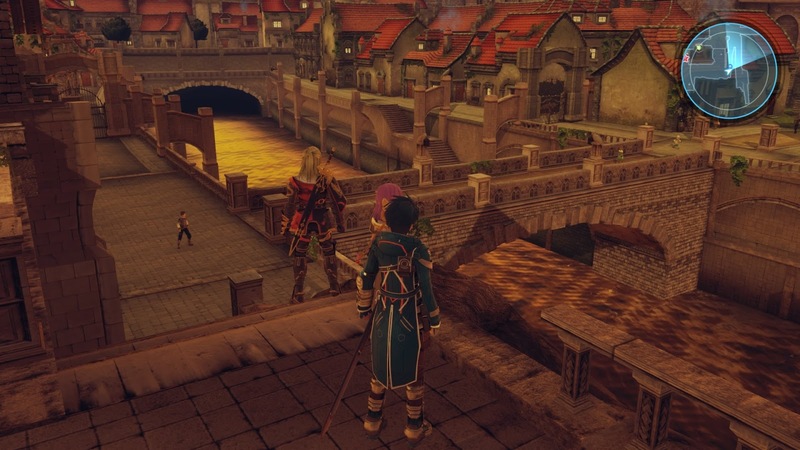 From the environmental variety, through to vistas and quaint towns to explore, I really did find myself wanting to get lost within Star Ocean’s world, and looking forward to discovering what new scenery the game had in store for me next. The game’s story gets off to a very unconvincing start too, which had me all kinds of worried. From setting out on a desperate mission to petition the monarch for soldiers to hold off an enemy advance, to rescuing a mysterious little girl from some alien strangers, to winning the battle to save the town and then push on to take on the main enemy host, the game is presented in such a scattershot manner that it’s hard to keep up. Party members join the group and leave, only to rejoin, and it’s hard to connect with any of them as a result. I felt like only half of the script was being delivered, leaving only half of a complete picture, so while I felt like there was more to the narrative, it seemed incapable of actually getting there. 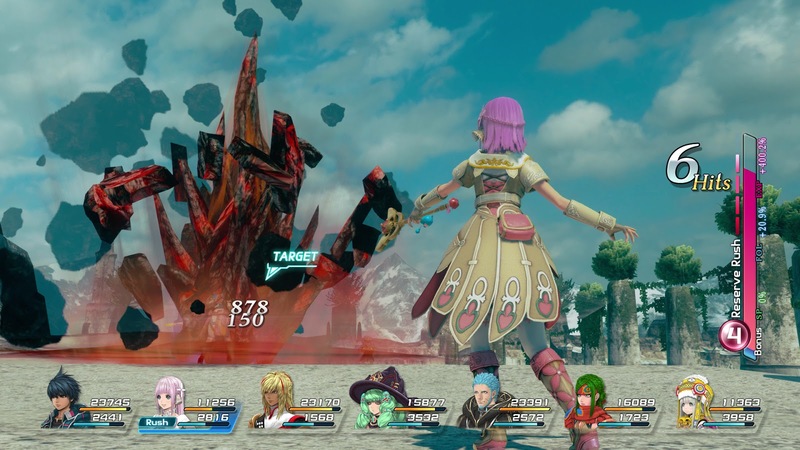 This is very different to previous Star Ocean games, which prided themselves on offering a more indulgent narrative with a greater emphasis on character development. Integrity and Faithlessness gets there in the end, and as the band of heroes finally settle down into their role as a team, the narrative really takes off. It’s just that it’s a hairy start, and that is never good design. Generally speaking you want to hook players in from the outset with a story, else you’re asking them to commit to something with no guarantee they’ll ever enjoy it. 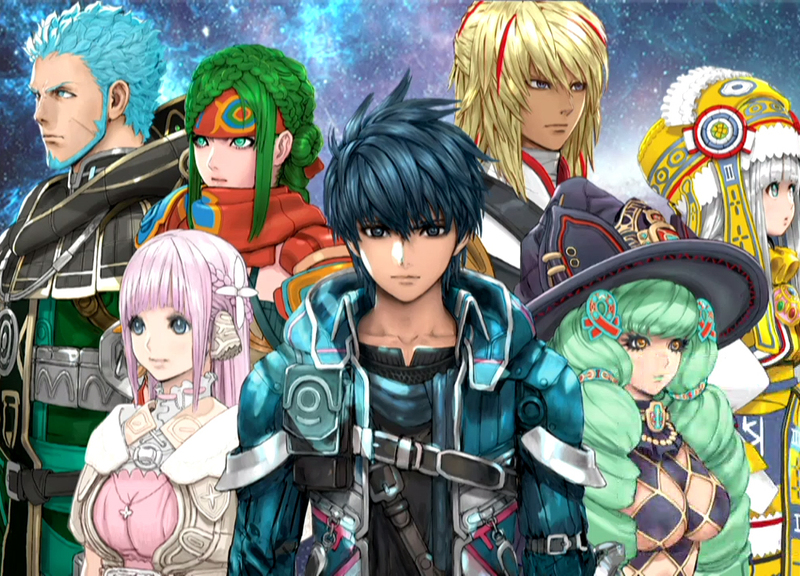 Core to the Star Ocean series has been a juxtaposition between technology and cultures with an absence of it. Typically this involves a space faring culture coming in contact with a planet that is inhabited by people who are at a medieval stage of development. This is a fascinating subject to explore, and indeed there are all kinds of examples of other science fiction works that feature this theme as a core principle. The second (rebooted) Star Trek film, nonsense action blockbuster as it was, contained a brief debate over whether it was acceptable to let Spock die in order to avoid having the primitive natives sight the Enterprise. Spoilers – Kirk decides to save Spock, and the natives see the Enterprise. The last we see of them is with them worshipping a carving of the ship. Unfortunately, that was that thread done then, and rather than focus on exploring it further, the film then decide we wanted another hour and a half of generic science fiction. Before that movie, Stargate (the film) explored another side of the coin, where advanced aliens did make themselves known to primitive people, and did so in order to enslave them. How people responded in that film, despite being so comprehensively inferior to the might of the aliens, was a little nationalist, but a rousing story nonetheless. And there are many other examples besides. The reason that the theme is so evergreen to storytellers is because this is a phenomenon that we have actually witnessed in the real world. Back in World War 2, there are cases of Pacific islanders that had previously not had contact with the outside world coming to worship military aircraft and westerners. The Americans would use the islands as part of their campaigns, and planes would drop supply crates filled with clothing, food, and so on. Having never experienced anywhere near this kind of technology or wealth before, the local islanders turned to worship these armies, and would, following the war, build airstrips, in the belief that this act of worship would bring planes and cargo to the worshipper. "Cargo Cults," they are called, and they provide a fascinating insight into how the rest of the world got its gods, according to some. These Cargo Cults gave a lot of credibility to the people that believe that aliens regularly visited ancient cultures, and drove the mythologies and religious buildings (pyramids, etc) that the ancient cultures somehow managed to do, even as we would struggle to create the projects today. 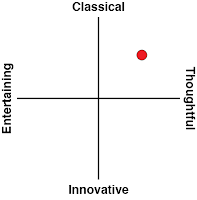 Now, I’m not commenting on whether the theory is credible or not, because I’m no expert and haven’t researched it to any meaningful degree, but the philosophy behind it is interesting, and it is interesting for those aforementioned reasons; is there moral justification for advanced species to potentially make themselves known to primitives, and consequently shape their cultures? This is the question that Star Ocean itself touches on, and while it uses it more as plot hook than philosophical discussion point, watching the interactions between primitive environments and advanced technologies is a striking one, regardless of the context. There’s a distinct tone and atmosphere to Star Ocean games that is really quite unique to Star Ocean, and it remains as appealing now, as it did back when I first discovered the series with the third game. Supported by the breathtaking art direction and gorgeous music as it is, Integrity and Faithlessness is does nail the presentational side of things. The gameplay itself follows the fairly standard pattern for JRPGs these days; there’s a hyper-linear plot to follow, if you’re just interested in the basic story, but for people who want to live in the world a little more there’s also side quests and plenty of hidden goodies to track down. Environments are fairly featureless, however, which gives the more open spaces an almost MMO-like design, where you’ll feel like there’s not much more to do than fight in battle after battle, but thankfully the combat is quality, so much as with a good MMO, that’s not so much of an issue. Combat is fast paced. You’ll control one hero in battle, and the others will automatically support you based on the patterns you’ve assigned them. In battle you’ve got a mix of quick and power attacks, and you can assign a range of different options in the menu – so if you know you’re coming up against an enemy that is weak to fire you can set your hero up with fire attacks. There’s also the ability to pull up a menu (pausing the combat) to cast less-used spells or use items. Generally you’ll be using this menu to heal party members as they are injured. There’s also super attacks that are slowly built up, and other features of the modern JRPG, but for the most part combat involves furiously whaling away on buttons while keeping a close eye on ally health. There’s a block button in theory, but it won’t take long to forget about that existing. The end effect is a system that feels faster, but slightly less complex, than a Tales game, and once you get the hang of the system, the flow of the action is really quite addictive. There’s generally not much space between one enemy encounter and the next, though battles are over quickly enough that you’ll always feel like you’re making progress, while it is possible to skip past most normal encounters on maps if you’re in a hurry. Star Ocean: Integrity and Faithlessness will probably not be remembered as one of the PlayStation 4’s finest. It’s greatly let down by technical issues with a camera that actively works against the game’s strengths: the epic sense of scale and the beautiful presentation. Dig beneath that, however, and you arrive at a game with an enjoyable narrative, fun characters, and a solid action JRPG combat system – all the stuff that’s actually important, in other words.